According to the National Women's Law Center, more than one in seven women and more than one in five children live in poverty. More than half of those children live in families headed by women, and most don’t have a spouse’s income to rely on to support their family. Together we can increase the health and safety of their homes, and empower women to become change makers in their communities. Rebuilding Together is bringing together female leadership and volunteers from across the country to make an impact on the lives of women. 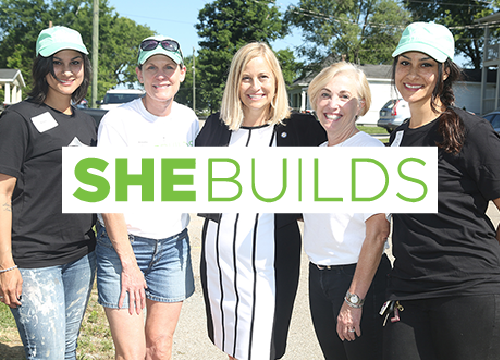 More than just hands-on team-building projects, She Builds is a nationwide volunteer event series, for and by women, providing critical home repairs and community restoration to create real change for women in need. Building a Healthy Neighborhood exemplifies the efforts central to the mission of Rebuilding Together, helping to solve for the urgent need for a safe and healthy home for every person. Recognizing that unsafe or unhealthy living conditions at home account for many of the leading causes of preventable fatality, illness and disability, today – this annual effort demonstrates the positive effects of home and neighborhood revitalization on the overall health of homeowners, families and communities, and has given back nearly $2.5 million in market value nationwide, to-date. 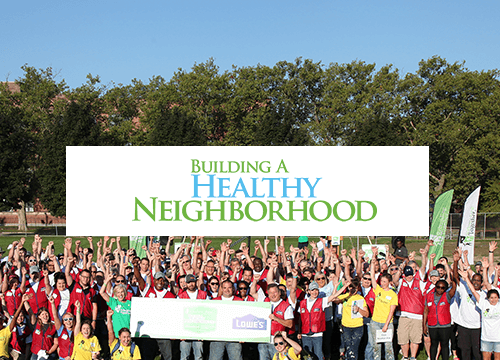 Building a Healthy Neighborhood brings together Rebuilding Together affiliates and local stakeholders in communities across the country that face a lack of safe, affordable and accessible housing. Kickoff to Rebuild is an annual NFL-sanctioned event hosted by Rebuilding Together, held in conjunction with the Super Bowl. 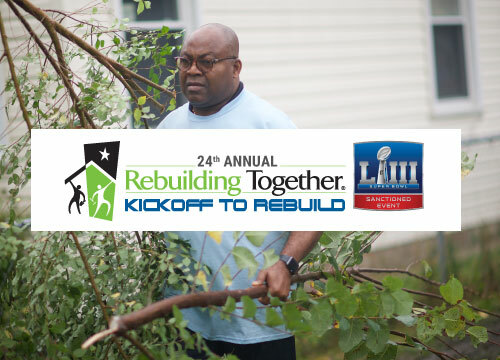 For 24 years, Rebuilding Together has partnered with the NFL in Super Bowl cities across the country, rebuilding houses and bringing together neighborhoods. Together, we have repaired 140 homes, engaged more than 5,000 volunteers, and invested more than $5 million in communities nationwide. 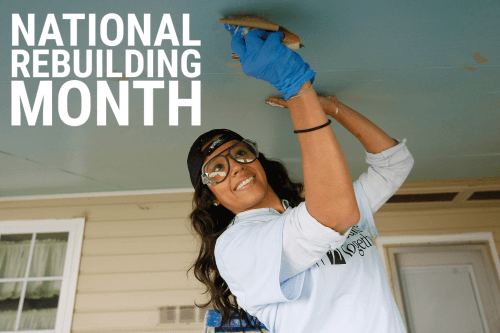 National Rebuilding Month is an annual month-long call to service during April, and is the epitome of Rebuilding Together’s vision: helping to solve for the urgent need for safe homes and communities for everyone. This annual effort, led by our affiliates across the nation shines a spotlight on the increasing need to provide neighbors in need with safe and healthy housing. National Rebuilding Month culminates on the last Saturday of the month. Volunteers nationwide will rebuild in a concerted effort to complete repairs on homes, nonprofit facilities and community spaces to bring immediate, large-scale impact to communities across America on the same day. Rebuilding Together’s MLK Week of Service is a national program that that brings together Rebuilding Together’s AmeriCorps members serving across the country to transform the lives of homeowners and make an impact in communities. The program coincides with the Martin Luther King Jr. Day of Service. 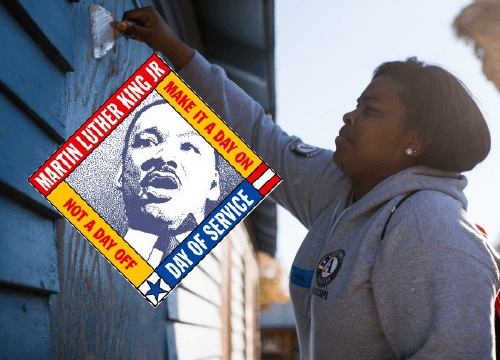 The MLK Week of Service has become a hallmark of Rebuilding Together’s AmeriCorps programs, and was nationally recognized by the Corporation for National and Community Service with the 2013 Service Impact Award.